The Prescription Ordering Direct (POD) service is the easy way for you to order your repeat prescription! All it takes is a simple phone call that you can make from the comfort of your own home - there's no need to go into your GP practice or pharmacy. You'll speak to a trained prescription coordinator who can discuss your needs meaning you'll only order medication when you need it - saving the NHS money to spend on other important services. Why use this new service? - Ordering your repeat prescription is a quick and simple telephone call. You will speak to a dedicated person who has time to answer any of your repeat prescription queries. Who will I talk to? - The POD is staffed by experienced and trained prescription coordinators and pharmacists. We will ask you how you are getting on with your medication and will remind you when you need a medication review. With your consent, we will have access to all repeat prescription records and to your GP practice should the need arise. This will be private and confidential, and your personal information is held securely. Why are we offering this service? - Our aim is to ensure that patients are receiving the correct quantity of medication that they need in a timely manner, to help reduce the amount of prescription waste in our area. 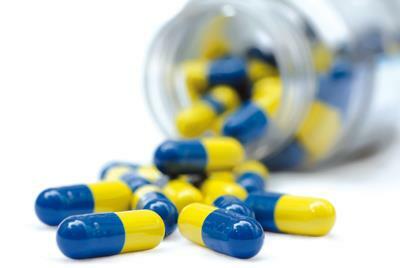 Unused prescription medicines cost the NHS £2.7 million every year in Wiltshire. Reducing wastage will enable the NHS to spend this money on other important services. Already use a pharmacy to order your repeat medication? - No problem, you can still use the same pharmacy to supply your medicines. Please inform the pharmacy that you are using POD to order your prescriptions and confirm any delivery arrangements you have with them. If you have a current arrangement with a pharmacy to delivery your prescription then this still continues. Once you have called POD, your prescription will be authorised by your GP, in line with their normal timeframes. If arranged for pharmacy collection, it may be available at your nominated pharmacy within a further 48 hours. Please don't forget to allow time for the pharmacy to dispense the medicines. Call POD on 0300 123 6242. Opening Hours 9.00am - 5.00pm Monday to Friday. Please allow up to 7 days for prescriptions to be processed and remember to take weekends and bank holidays into account. Systmonline allows you to be able to request repeat prescriptions online without even having to speak to someone or leave your home. If you have already registered for the online access click on the link at the top of this page to login and order your repeats online. Patients on repeat medication will need to be reviewed at least once a year. Please speak to our prescription clerk who will advise you of any tests you may require, ie blood tests or blood pressure check. If you need a consultation, this may be carried out with a clinician face to face or over the telephone. Your medication review will line up with your birth month each year. Roundstone Surgery is one of the first practices in the area to introduce an Electronic Prescription Service. This service will mean that your GP will be able to send your prescription electronically to the Pharmacy you choose to get your medication from – without the need for paper in most cases. 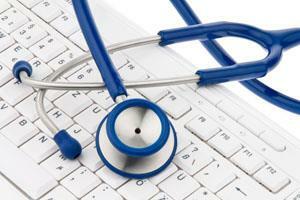 The Electronic Prescription Service is reliable, secure and confidential. You can then continue to order your prescriptions in the usual way, but instead of a paper prescription being collected by you or your pharmacy, the prescription will be sent to them electronically. Electronic repeat dispensing will not usually be set up straight away. If appropriate, your GP will set this up when your medicines are next reviewed e.g. after your annual review. You should try to ensure that on most occasions you collect your prescriptions from your nominated Pharmacy. However, if you don’t wish to use your nominated Pharmacy for a particular prescription just make sure you let the surgery know when you request the prescription. For example if you wish to collect a prescription from the surgery reception, or a different pharmacy. If you would like further information about the service, please ask at reception. Online prescription ordering remains available.